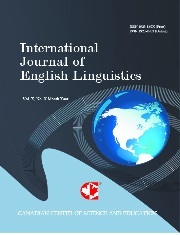 Journal of Research in Education and Teaching(Eğitim ve Öğretim Araştırmaları Dergisi) was published in February 2012. This international journal is regularly published every year; It is published on the first day of February, May, August and November. The journal includes research and theoretical studies. The main purpose of the journal; to improve learning in preschool education, primary education, secondary education, higher education and adult education; in other words, to increase lifelong education and learning; Journal of Teaching and Learning Research articles free published. However, in order to be able to apply to other indexes and to cover the expenses of the broadcast by taking the DOI Number, it is considered that later fees will be charged within the legal framework. It will be easier for the authors to maintain the publication of this journal by paying a certain fee. Because the fee has been charged for compliance with the legal rules; It is thought that the publication process can be faster when the arbitration fee is paid to the referees.